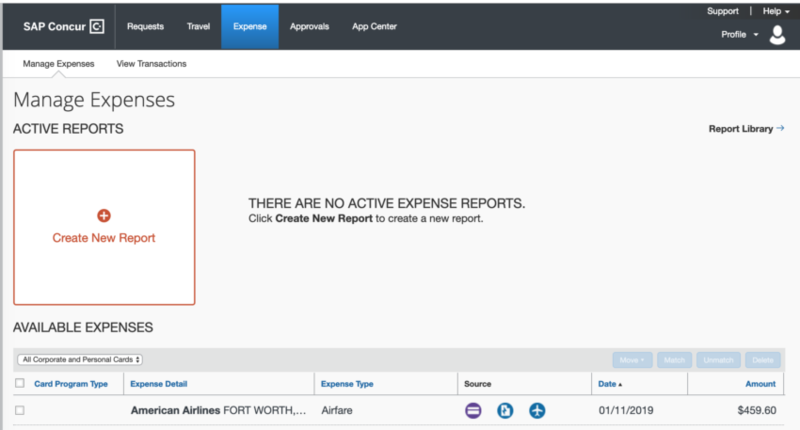 Concur’s journey of a thousand clicks starts with a WTF? After spending another hour with Concur today, I cracked and went down to the department office, a broken man. I pled for help from one of the smartest and most patient people I know – my department’s office manager. Sadly, I learned that if someone else edits your expense request, Concur does not let that same person approve your expense request. And since she is the only person authorized by UO to approve my expense requests, this could put Concur into an infinite loop, leading to a shutdown and unknown consequences for the U.S. macroeconomy. Unfortunately this is not where I want to be either. But I believe I can get there from here, and I’ve got the whole weekend coming up to continue this expedition. I’m still waiting for that Brave New World where omnipotent computers monitor our every move, and either help us or destroy us. Meanwhile we’re stuck with Concur. Fort Worth? I had a direct flight to LA. Fortunately my department has just hired a full time staff person to help with Concur problems like this, and while I’d blocked out a few hours tomorrow for class prep, I don’t think I can resist finding out what they think I did in Fort Worth, and which if any parts of this imaginary trip the university wants to reimburse me for. 1/16/2019: Click the Concur link, or just pay for this damn trip myself? iI’m trying to go to LA for a meeting on university business. Back in the day this was easy. Buy a cheap ticket from expedia or wherever, make a hotel reservation, then submit the conference program and get reimbursed at the per diem rate for whatever meals the conference fee didn’t include. I’m pretty sure I don’t have a Company Card. And why would UO trust me with one, when they no longer trust me to buy my own airplane ticket? Is this legit, or has someone hacked my Tripit account? I just hope someone’s getting a decent kickback for signing the contract with Concur. And if anyone knows how to add a hotel to this trip, or a good bridge near USC to sleep under, please post a comment. Tagged concur. Bookmark the permalink. 28 Responses to Concur’s journey of a thousand clicks starts with a WTF? Could you change the title to “Old man yells at cloud”? I’M NOT YELLING, I’m ranting. Let us know if you need any help getting your VCR to stop flashing 12:00, and thanks for all the rants. The reason isn’t hard to guess. 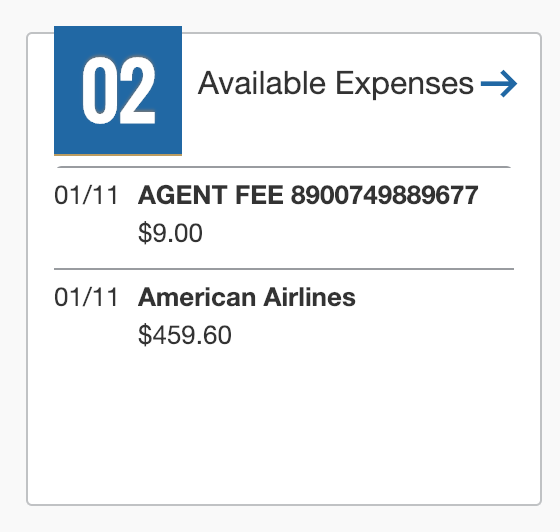 On a personal credit card you can get ~3% of the cost of a flight back in cash, miles, etc. 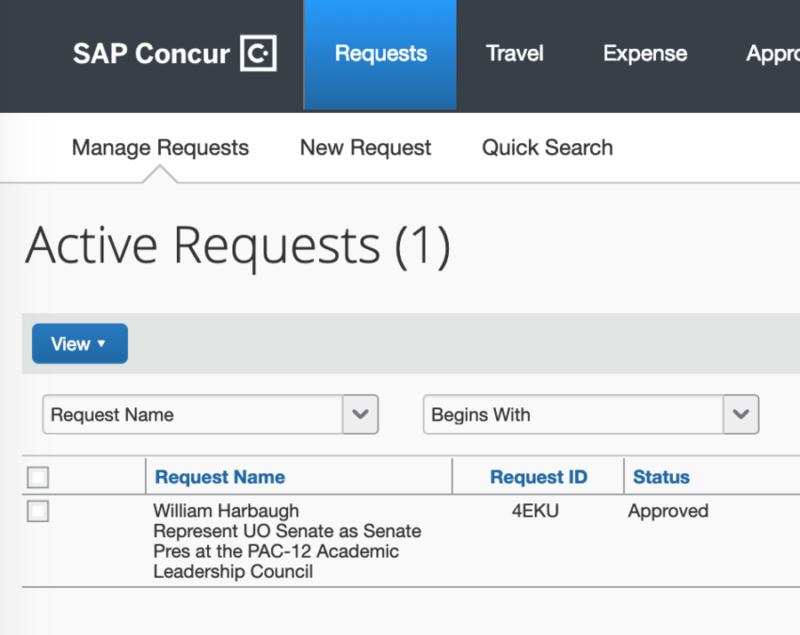 By forcing you to use concur, the university gets this kickback instead. This is why the system is wildly popular among corporations. Generating new revenue streams makes the CEO and board chairman (er, provost and president) look great. Things like lost faculty/staff productivity are too insignificant to appear on spreadsheets that drive institutional policy. I pile on with the criticism of Concur. We have to do a lot upfront to make it simpler on the backend. It think it saves enough time in BAO that they can review all travel rather than a sample. OK, compliance is better. I hate the oddly threatening and cryptic emails Concur sends us. I can’t tell what they want me to do. On the topic of airfare though, that criticism may be unfair…airfare booked through the travel company has benefits we don’t normally get like the ability to reschedule so our personal experience with booking airfare is not directly comparable. I still think it would have been better to negotiate travel benefits (like free bag check or complimentary meals or use of exclusive lounges) which have more value than the tiny percentage of rebate that we get. Sorry for the lengthy response. It may a best practice but there seems to be so much room for improvement, End my rant about Concur! I despise these kinds of websites with a passion. In related news, HR just sent out word of just such a site to forcibly teach us how to be professional. As a man, I’ll stoically repress my anger, have an extra beer, and continue being nice to everyone anyway. Actually, that’s a pretty healthy response. Just don’t forget to take the Training. And don’t miss your self-criticism session. For those of us who have studied the ways bureaucracies were used in (let’s call them) authoritarian regimes of the past, and the way one large nation is using them now, these kinds of training sometimes seem deeply creepy. Are we at least allowed to ask whether there is empirical evidence that people who complete the Training really do respect other people more as a result? OK. Now I have questions. Has anyone taken this training yet? Does it involve answering questions? Is response data collected and kept or analyzed in any way that ties it to individuals, or is it aggregated for groups (of any kind)? I hope that the answers are “no” to these last two questions. I looked at the HR site that has a FAQ, but whether personal or group data is collected and analyzed in any way is not addressed. By default, you should assume that anything you do on the Internet is tracked and available to whomever you’d least approve of. Act accordingly. With Concur, what once took me an hour or two of work–filling in a departmental travel request form and, after approval, making purchases for my flights and hotel, then submitting receipts on return–turned into a nightmare involving multiple offices, several weeks, many hours of work, and a system that was essentially incomprehensible. Since I was no longer able to use my personal travel credit card, I lost my TSA status, lost premier seating, lost free baggage. I was also told that I would be unable to purchase economy plus seating (tall, with disk issues) unless I applied for and received official ADA disability status. It was maddening and insane. I made it through the process with the help of a real human being in our office. It’s always surprising how much easier things can go face to face, with people you know. So my advice: Don’t do this yourself. The system is not designed for you. Find a real human being in your department office who knows you and the system and can deal with it. Give that person any permissions needed to act for you. Count on its being more expensive, taking more time, and overall being way more difficult than it needs to be. Don’t think about bureaucratic growth strangling the university or sapping your time and energy. From a highly distorted position near some bureaucratic height, ignoring on-the-ground reality, this makes sense. Now just imagine how much fun it will be when you have to report to such a system what your recent research is all about. I would love it if someone would survey departments on the costs of concur. Both (perhaps) subjective loss of time/productivity of travelers, and objective extra FTE/personnel spending time to administer travel compared to the old system. 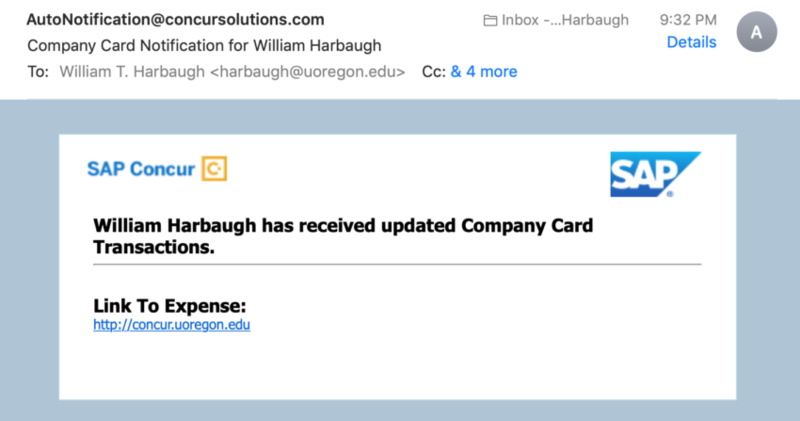 I think this may be another (shocking I know) case of a savings to central UO (kickbacks on money generated from use of UO travel card), and a cost put on departments. I’m pretty good at it now, but it just has added layers of bureaucracy to getting reimbursed. Not any faster. Just a bit fewer points on my personal credit card, and more emails with the travel office back and forth until I finally get a reimbursement 6 weeks later, just like before. Just this week I chose to buy air tickets for a university trip on my own dime instead of dealing with Concur & travel agent. I agree with the comment above that having a real person help is essential. I completely understand why you would do that. The process made me feel as if I were some kind of suspect who was being punished for delivering a paper at a professional conference. it is the Worst thing out there …. I have yet to hear any colleague say that Concur is an improvement. I generally can figuring out interfaces–I’ve done a lot of software training in classes and before that in the professional world–but this interface can defeat anyone. It seems to have been created for a priesthood of accounting types. The commands are jargon-laden, and some are just plain mysterious. When you finally figure out how to do something, it can be difficult to repeat the process you stumbled upon. We’re told that it will get easier the more we use it, but the problem with that shibboleth is that most of us don’t use Concur enough to become familiar with it. This means having to revisit the mysteries every time. There are helpful people available in the schools and departments and in the travel office, but fighting this system still takes time away from the things we’re supposed to be doing. I don’t understand why this doesn’t seem to matter. I am a simple man. Way too simple to understand concur. Because I did not concur I made so many mistakes on concur that real human beings broke down and cried. I created days of frustration, havoc, and confusion. Some day it will pay off. That’s a pretty interesting link. And while I personally draw the line at sabotage – except for that one time in Wyoming – I can see why Concur might push someone over it. Meanwhile, any advice on how to add a hotel and a few meals to an approved trip would be appreciated. Extra meals? Add a hotel? Just do it!? Let them sort it out. BTW. This hog-feeding-law was used as teaching example at UO HR leadership courses a few years back. And – as stated: The most common method of feeding the hog takes the form of lost focus, energy, and engagement. After being harshly treated by a leader, employees spend time talking about what just happened rather than doing their job. Next, they refuse to put in extra effort. Eventually they disengage. Case in point – we are talking about what just happened…. I think perhaps those attending the HR leadership course misunderstood that the example was supposed to be a cautionary tale, and they have been busy implementing the plywood mill protocols ever since. They seem to have hired Tony to work in my part of the plant, and many of us have already reached the third stage of disengagement. Item two: If you can indeed get a cheaper flight. accommodations, hotel, etc. You should be able to purchase them outside the they system and get reimbursed… (It may even be state law) If you cannot get the cheaper price through the system, then this issue needs to be raised ESPECIALLY on soft money… Sure Admin and coaches get to fly on unlimited tuition–er I mean properly budgeted–money for junkets–er official important business, but when it is your own limited funds and you want to get as many of your students out there to present their work, burning cash is not acceptable. Who knows perhaps all the features are not enabled or setup correctly. Turns out I have a neighbor who works for SAP and he shared that the point is not to streamline reimbursement but to improve budget analytics to allow central planners to coordinate, optimize, and administer finances. Finally, the upside to losing my ASA. Comment of the week. Meet me down at the faculty club next Wed for your complimentary martini.